A new walk-in medical clinic has opened in the Sheridan Plaza. 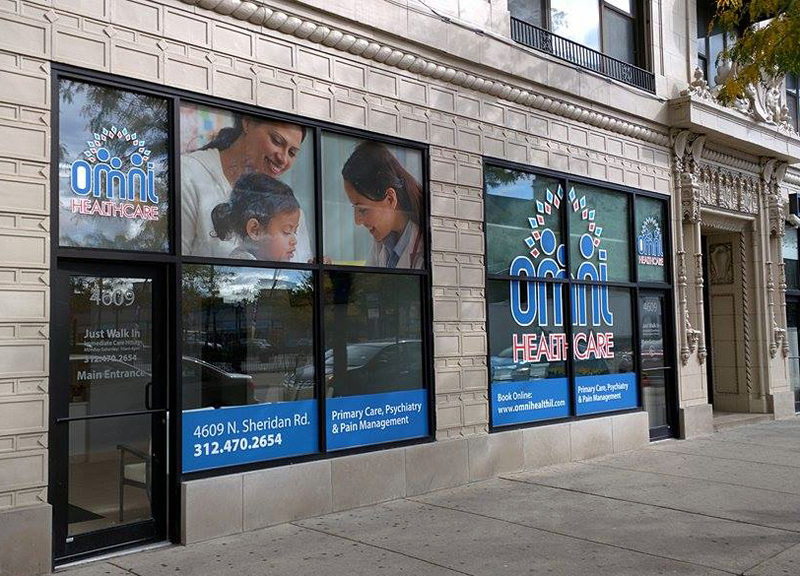 Omni Healthcare, located at 4609 North Sheridan, had its ribbon-cutting ceremony and grand opening last Thursday. Last summer, Uptown Update reported that San Pablo Medical Clinic would be opening at that spot, but it didn't happen. Sadly, the doctor who envisioned the clinic passed away in an accident. But now Omni Healthcare is there to make his ideas become reality. We went on a tour of the facility, which has three patient rooms, a conference room, and a pain management center. Everything is new, sparkling clean, and modern, with televisions in the patient rooms and scales that measure weight, height and BMI all at the same time. You wouldn't know it from the street, but it's a large area, which came together when three existing storefronts were combined. There will eventually be a pharmacy attached to the medical center. The hours are 10am-6pm, Monday through Saturday, but right now the doctors are there only between 10am-1pm. They accept Medicare, Medicaid, Medicaid Managed Care, private insurance, and self-pay. The phone numbers are 312-470-2654 and 312-471-5550. One physician, Dr. Osman, speaks English, Urdu, Hindi and Gujarati. Urgent care centers like Omni are one of the fastest-growing segments of the healthcare system. We welcome them to Uptown.